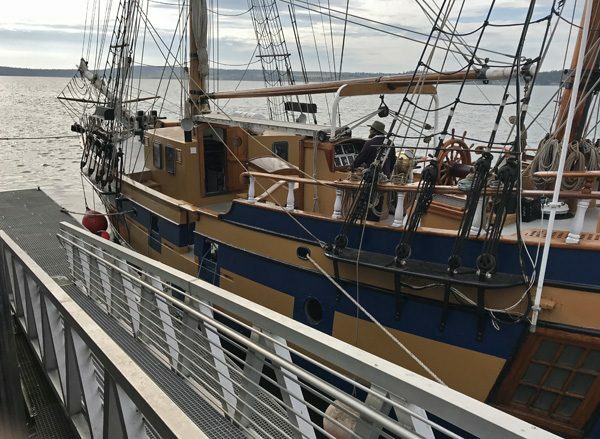 The Hawaiian Chieftain is a 103 foot long gaff-rigged topsail ketch sailboat that travels far distances from its home port in Grays Harbor, Washington to educate and entertain. The Grays Harbor Historical Seaport runs it as a non-profit organization, mostly done by volunteer organizers and crew. 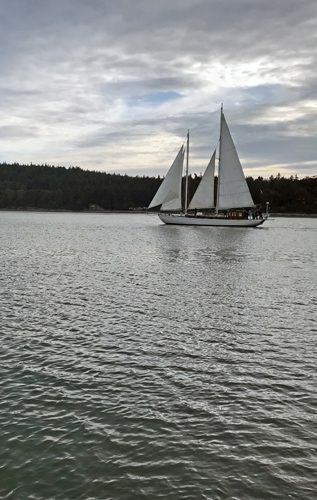 And it sailed to Coupeville for the very first Whidbey SailFest. 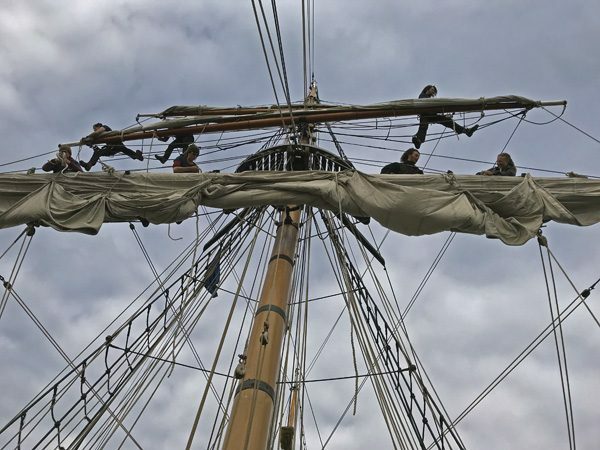 We participated in a special evening sail around Penn Cove, watching the crew handle the many complicated lines aloft. Then, two local historians provided insights on both Native American and early European settlers around Penn Cove and Whidbey Island. 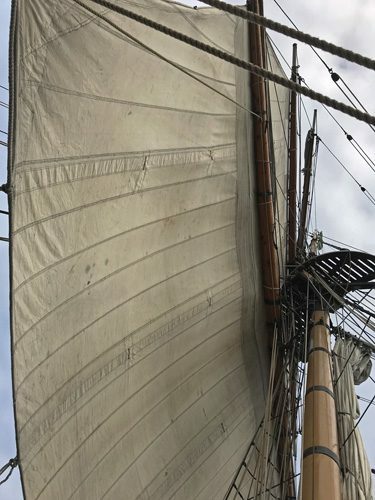 It was a fun and educational outing on The Hawaiian Chieftain!